Oktoberfest-ivities may be getting all the online hoopla, but it’s not the only gig in town (er, out of town) this weekend. In addition to the beer-swilling celebrations, there are two music festivals taking place aimed at those who like discovering new music. They also have beer. Philippe Lafreniere (left) and Jason Jaknunas inside Jaknunas’s home studio. The Up & Up Revue is a showcase of music coming from the year-old start-up record label of the same name. Up & Up Music has become known as a folk-funk clearing house for rising Ottawa acts including Claude Munson (sounds kinda like Jeff Buckley) and bluesy duo Still Native, as well as Phil Motion, the band led by Up & Up’s founder, Philippe Lafreniere. The stylistic commonality with all the Up & Up bands is that they play soul with a modern interpretation. Each band on the roster has a throwback quality that comes out in the songwriters’ voices and playing. Lafreniere, along with album producer Jason Jaknunas, harnesses that sound by recording with vintage gear-head equipment that can only be found in basements and shacks via the bowels of Kijiji. 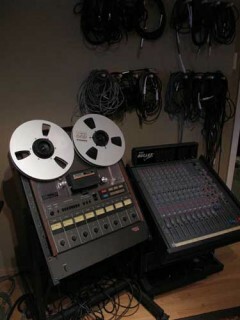 There is The Studer, for example. It’s an ‘80s-era reel-to-reel recorder that Jaknunas found online and is now sitting in a corner of his Alta Vista home studio, which is filled with well-used analog gear and other restored cast-offs. 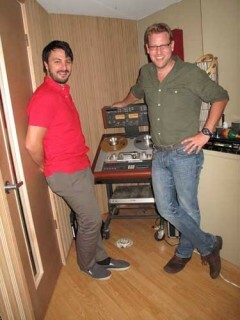 It’s where Phil Motion recorded a new 45 record called Time Bomb, to be released at the Up & Up Revue this weekend. Jason Jaknunas's home studio is filled with well-used analog gear and other restored cast-offs. When recording on old gear and playing to tape — as opposed to recording to a hard-drive — you have to practice a lot until you’re good. Really good. You’re working with a limited quantity of tape that’s expensive and hard to source and so you want the tunes to count for the few takes you have. You also want to leave in a few tiny flubs to give the album character. The digital purity can sound sort of soulless. “Analog can account for ambiguity — you get feel and texture,” Jaknunas says, while fiddling with his Atari and twiddling the dial on the table-top colour TV, circa 1982 (these curb-finds dot the shelves of his studio). He and Lafreniere are colleagues in the music scene and bond over the rare finds and many trips to armpits of Ontario where they acquire this stuff. Jaknunas likes the mechanical quality of rolling tape and moving parts and Lafreniere likes the “dirty” sound you get from tape. It gives the recording an underlying and consistent hum that many translate as a “warm” sound. It’s a nice way to buttress a groove. Phil Motion launches his 45 RPM Saturday, September 29 at Le Petit Chicago in Gatineau (old Hull sector). DJ Zattar opens the show with an all-seven-inch set. $10. Find the full festival schedule at www.upandupmusic.ca. John Allaire gets down at the O-town Hoedown. Photo by Sean Sisk. The O-town Hoedown (not to be confused with that hoe-down known for its ticket fiasco) takes place over two weekends at Irene’s Pub (Sept. 28-29) and at the Rainbow Bistro (Oct. 5-6). It celebrates the alterna-spectrum of country music by featuring bands that warp traditional tunes into new-fangled genres including death-country, bluegrass, cowpunk, alt-country (and every other critic-created term for music inspired by the oldies, but not really appreciated by the Stetson-wearing crowd). 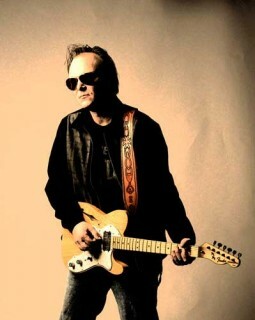 The festival was launched in 2007 by Greg Harris, who goes by the stage name Lefty McRighty. He’s been programming the festival, which has become a part of the annual fall calendar for music-loving types. The schedule of 16 bands can be found online. Some highlights: The foot-stompin’ good twang tunes of the Divorcees (Oct. 6), the agitated roots-rock of Jack Pine & the Fire (Oct. 5), the fire and vinegar of John Allaire and the Campistas (Sept. 29), and the breezy vibes of Slo’ Tom and the Handsome Devils on Sept. 28 (that would be Tom “Furnaceface” Stewart, taking a step away from his metal project Manpower). Full schedule available at www.otownhoedown.com.